FA IS BACK WITH A BRAND NEW SINGLE "HALLELUJAH"
After a couple of impressive hit singles last year, FA returns with a brand new jam titled "Hallelujah", a blend of Afropop and inspirational single that is sure to take over the airwaves in no time. Hallelujah was produced by the amazing hit master Spellz, who also produced FA's last hit single. 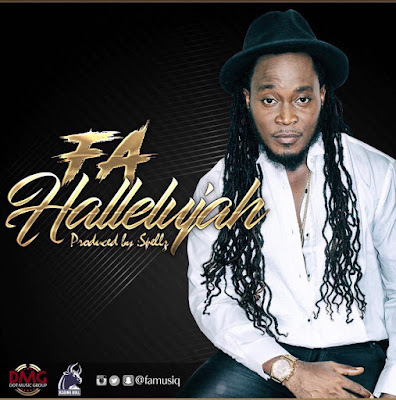 With the brand new song- Hallelujah, it is clear both FA and Spellz have developed a creative rapport that is turning into hit singles for the artist. Connect with @famusiq on all Social Media Platforms. Robin C L Dopoe Jr - Happy Birthday Master Queen!